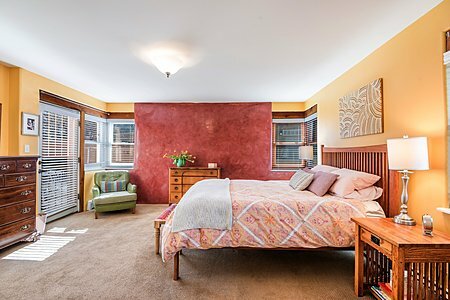 Exceptionally sweet 2,200 sq. 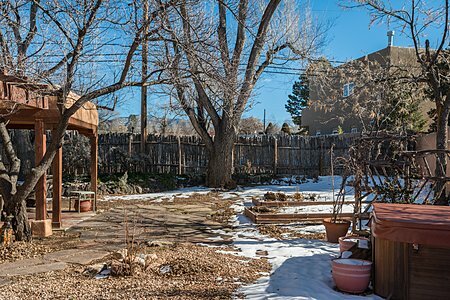 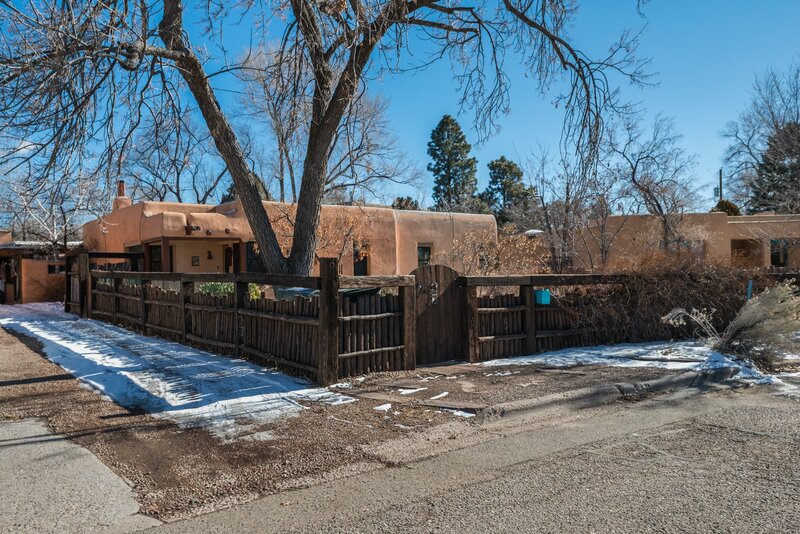 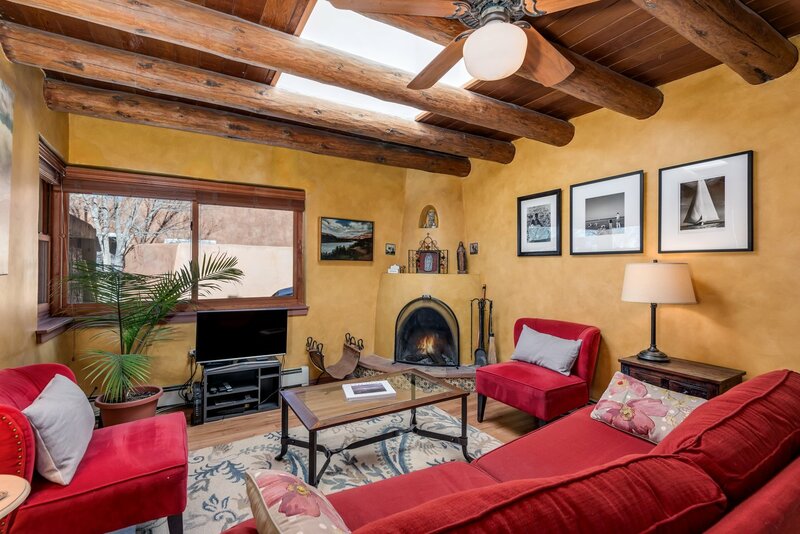 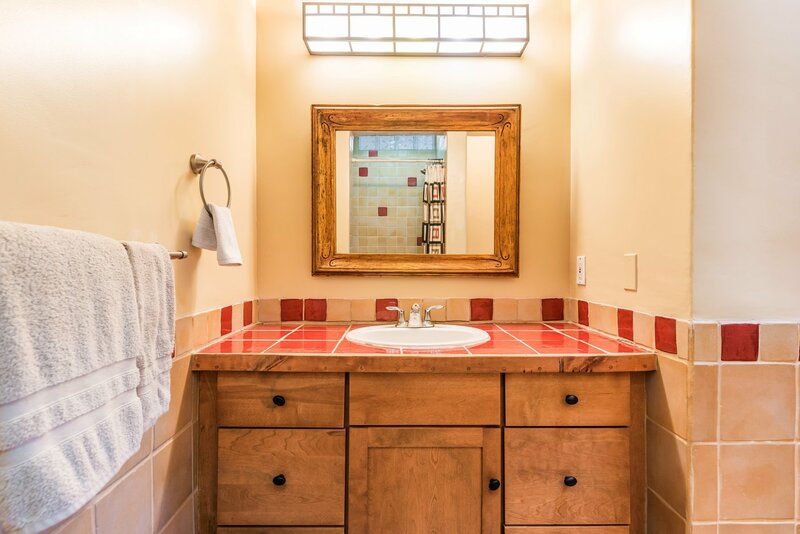 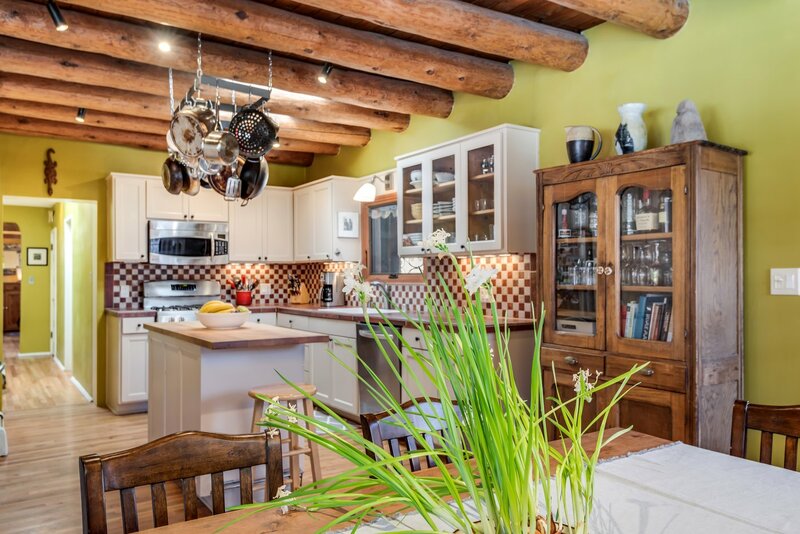 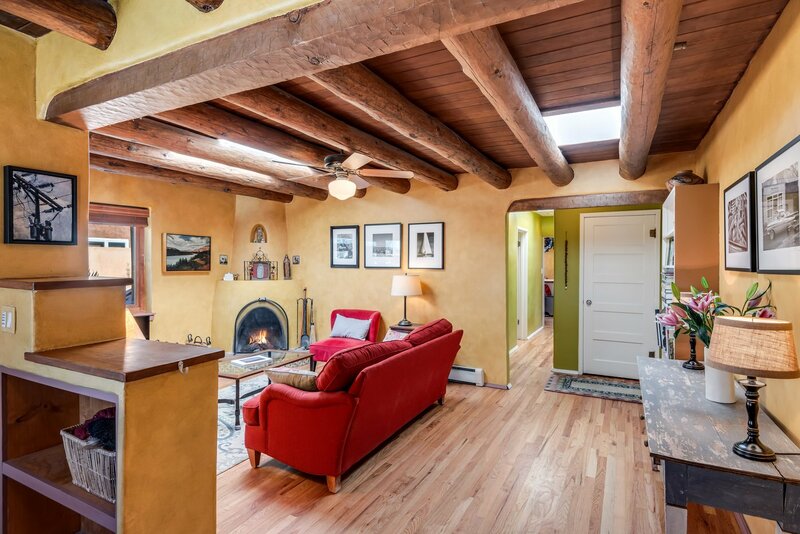 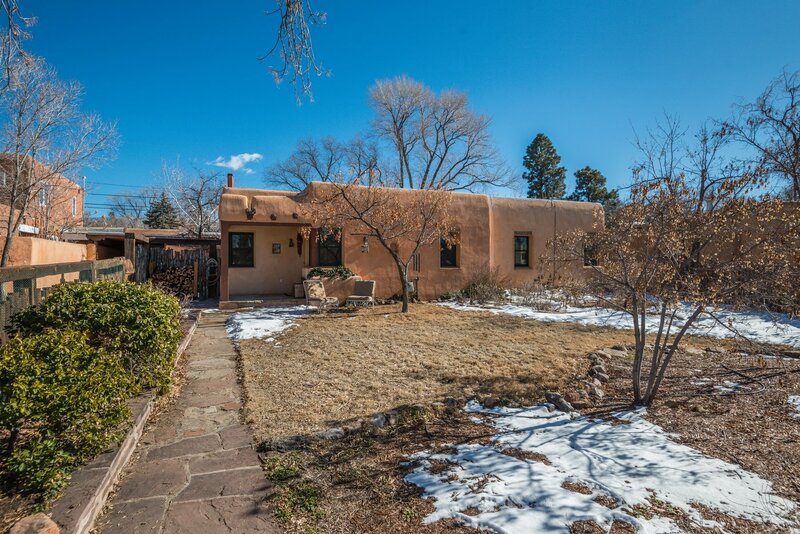 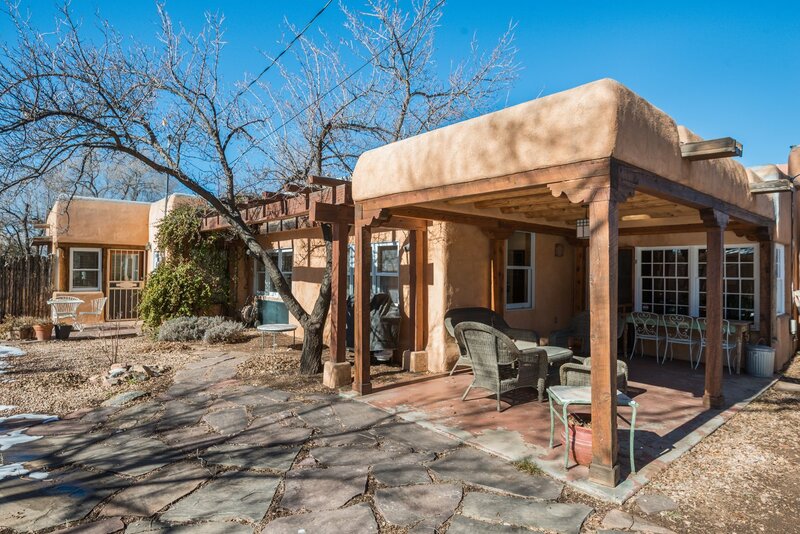 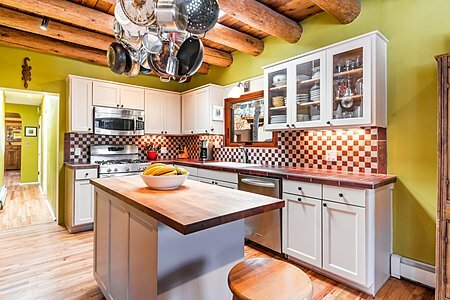 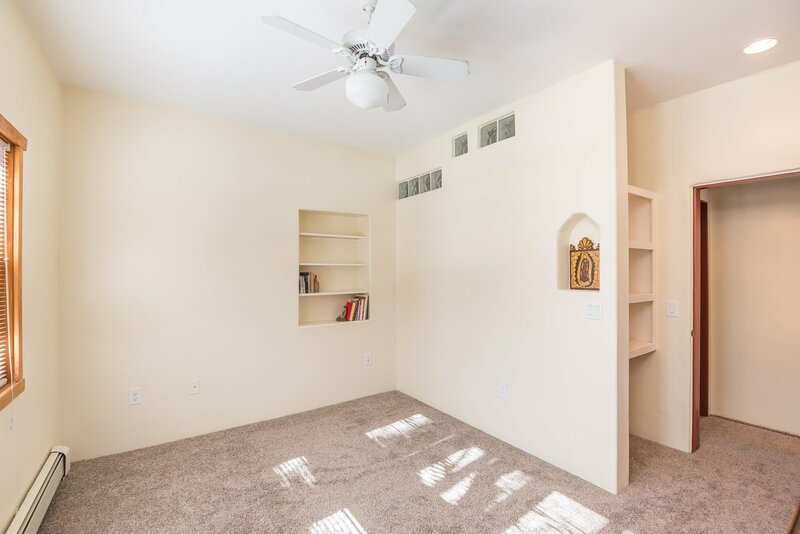 ft., 4-bed, 3-bath 1947 adobe with vigas, beams, wood floors and a great kiva fireplace in the living room - facing a quiet neighborhood park with some views to the west! The kitchen and dining room were added in the 1970's and have recently been redone with hand crafted cabinets and stainless steel appliances. 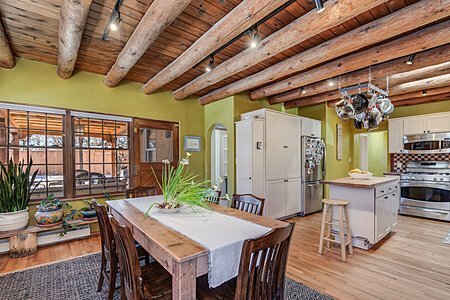 From the kitchen and dining room there is easy access to the back portal for outdoor entertaining, grilling & dining al fresco. 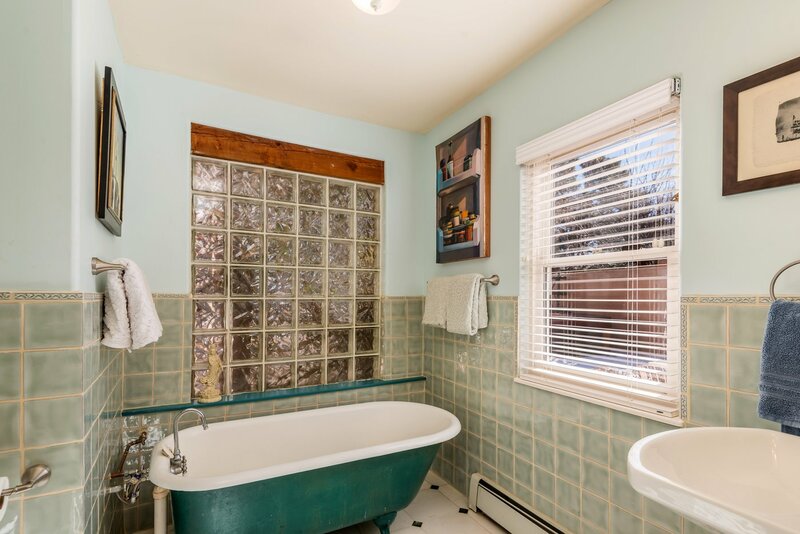 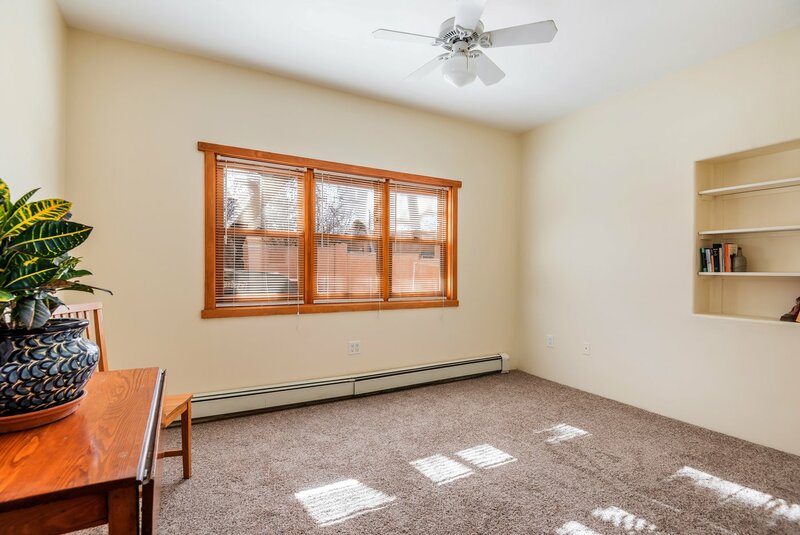 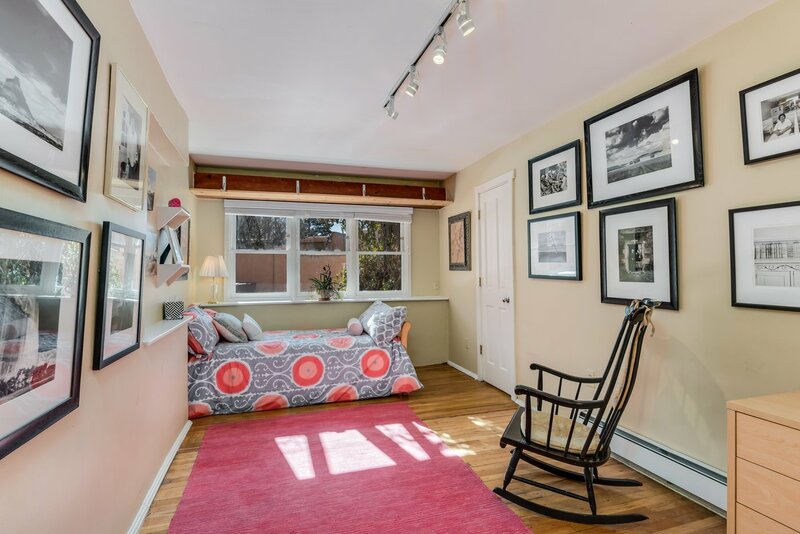 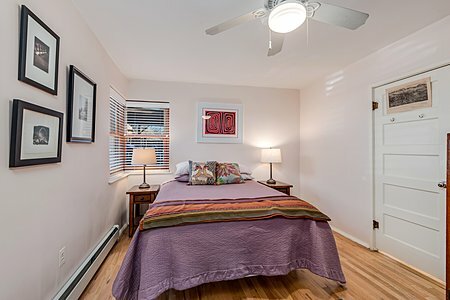 The large master bedroom was added in the 1980's and features an en suite bath (redone in 2018) with marble floors, custom tile, high-end fixtures and a classic claw foot bathtub. 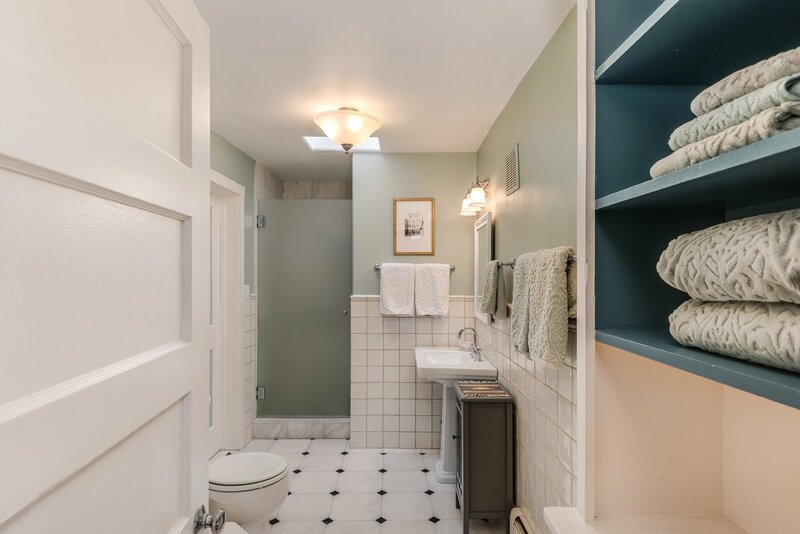 The second bedroom has direct access to a updated bathroom (also redone in 2018) that features classic, custom tile and marble floors. 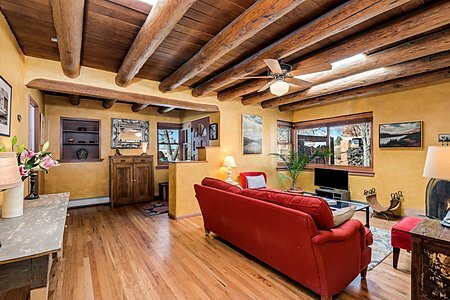 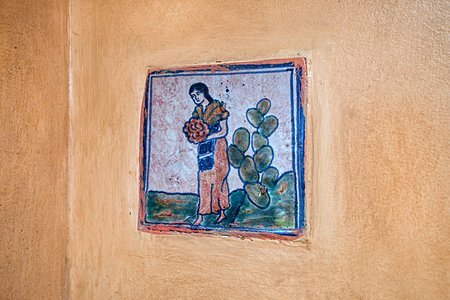 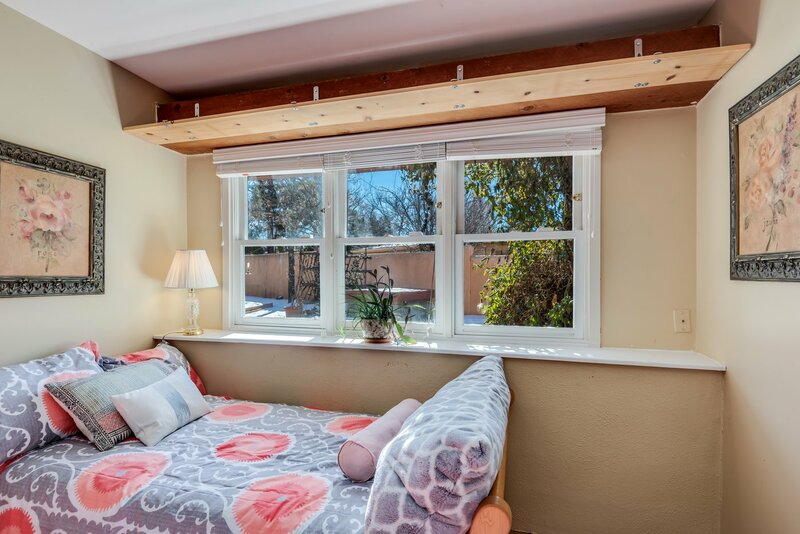 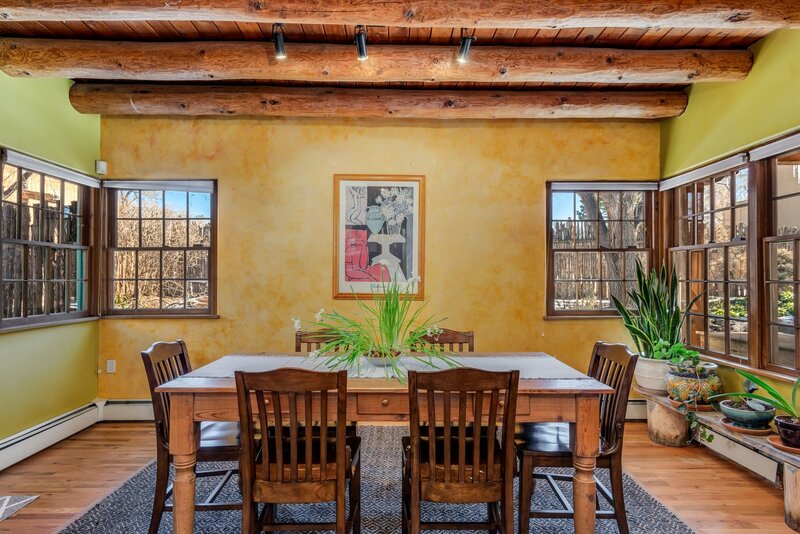 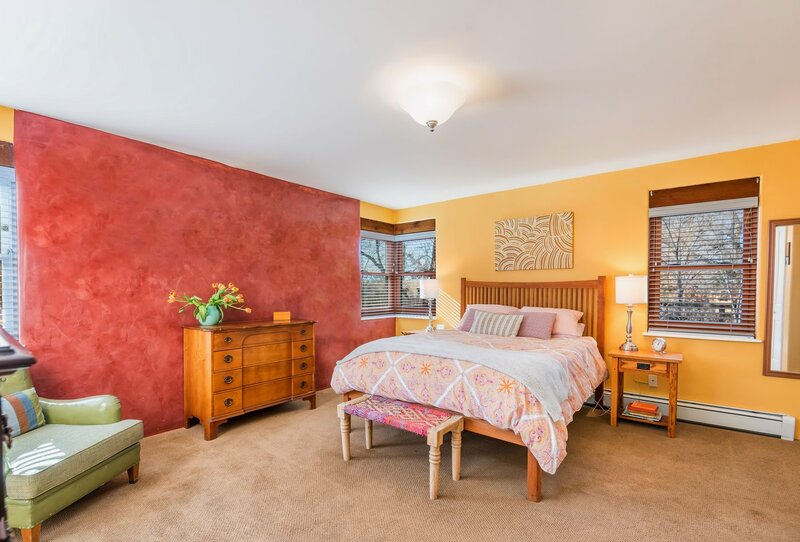 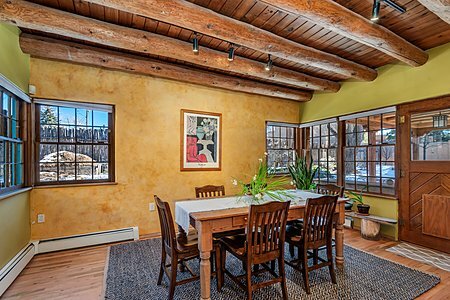 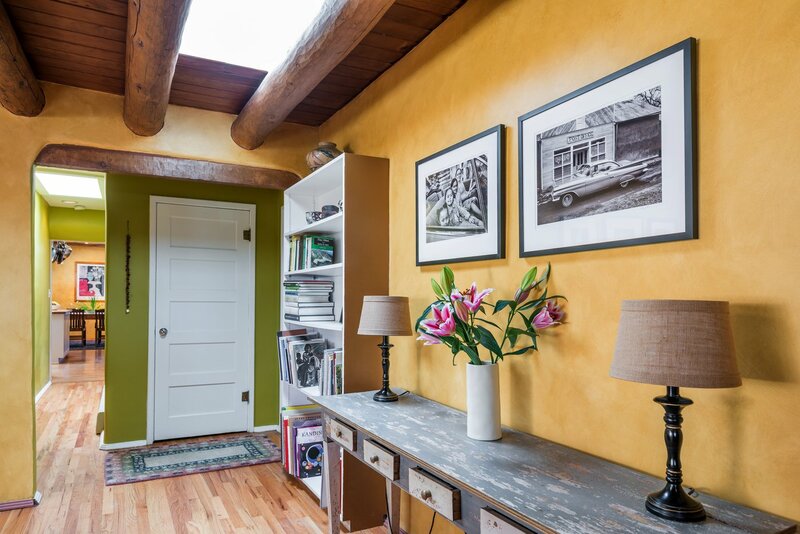 Both of these bedrooms have thick adobe trombe walls that create passive solar gain. 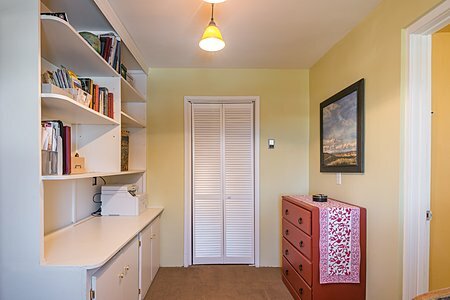 The 4th bedroom has an en suite bath and superb privacy - it could make for a great home office! 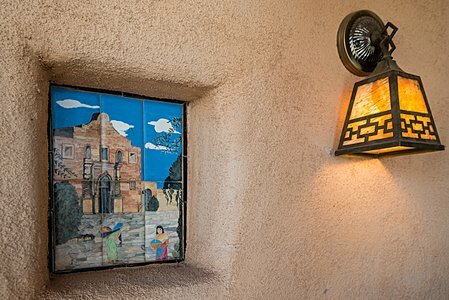 The home also has an adobe 1-car garage that could easily be converted into a studio or casita. 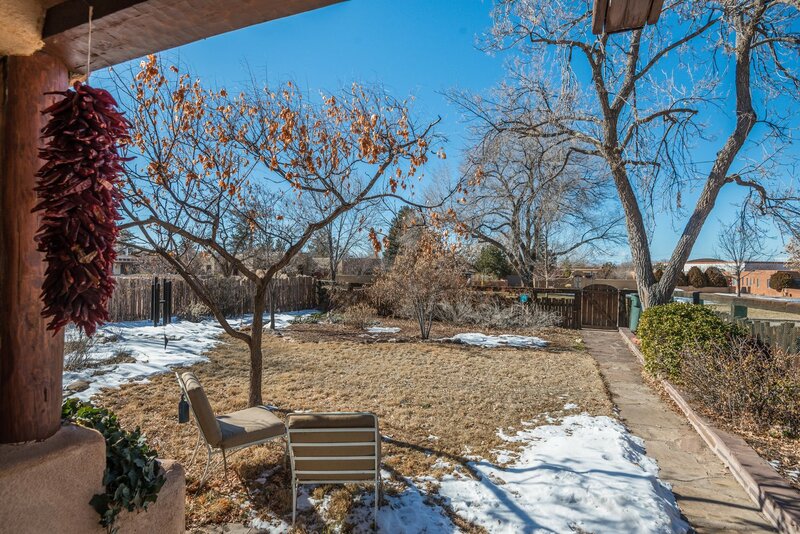 All this while being in the Wood Gormley school district and an easy walk to the Railyard or Plaza.